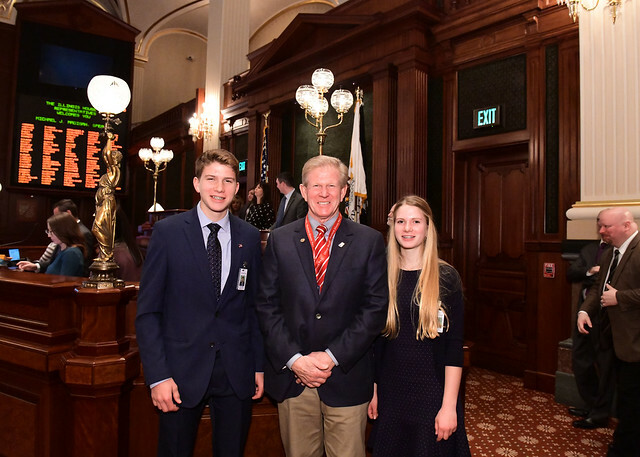 Isaac Miller and Evangeline Miller of Oakland served as Honorary Pages in the Illinois House on Tuesday. I am so proud of my two Pages who served on Tuesday not only because they are smart and ambitious but they are my children also! Thank you Isaac Miller and Evangeline Miller for serving! Rep. Miller’s Pages in the House on Tuesday (l-r) Evangeline Miller and Isaac Miller. It is a special privilege for a student to be selected to serve as an Honorary Page. Students get an opportunity to serve their state, observe the work that takes place on the House floor, and participate in the Legislative Session. The Pages received a House floor badge and an Illinois House of Representatives Certificate of Recognition. During the Legislative Session Rep. Miller explained how the electronic voting system works and the debate process in the House. Afterwards they posed for photos on the House Floor. 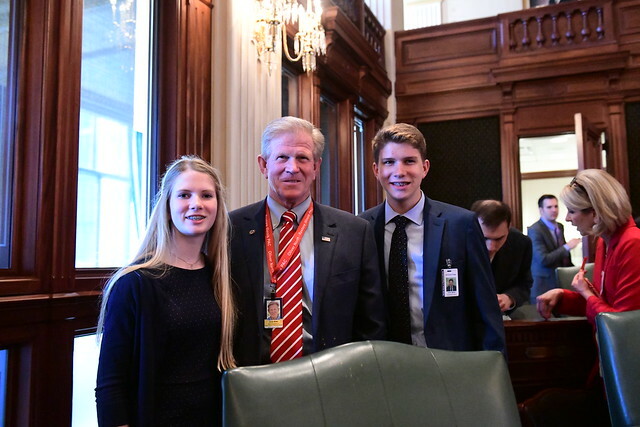 Honorary Pages are usually secondary school students who volunteer and get to serve in the Illinois General Assembly. Pages may serve on the House floor by taking orders from legislators to run errands, deliver messages, observe the legislative process in action, and may visit with their state legislator. Students are sponsored by their state representative based upon recommendation. For more information about the ‘Page-for-a-Day’ program, please contact the Springfield office at 217-558-1040.